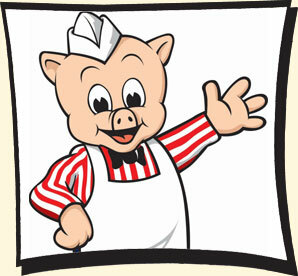 Piggly Wiggly is your hometown supermarket that is locally owned and operated. We provide superior customer service with a wide variety of products to choose from. Our meat department features Certified Angus Beef and Gerber Amish Chicken and our journeyman meat cutters would be glad to handle all special cuts that you request. Do you like pampered to perfection produce? We have it! Visit our ?in-store? bakery for delicious fresh baked breads daily. Our tasty delicatessen has an outstanding selection of deli meats, cheeses, salads, prepared foods along with the most flavorful rotisserie chicken and fried chicken. For those special times, our floral department offers a wide variety of items including roses, ?grab and go? fresh bouquets, and beautiful plants. And don?t miss the best weekly ad flyer in the State! You will find ?red hot? specials and values galore every week! While shopping, stop at the service desk for lottery, money orders, postage, photo copies, faxing and more! Please visit us and experience shopping at our friendly, clean, and well stocked store that is priced right! Gift Cards, Lottery, Postage , Faxing & More!